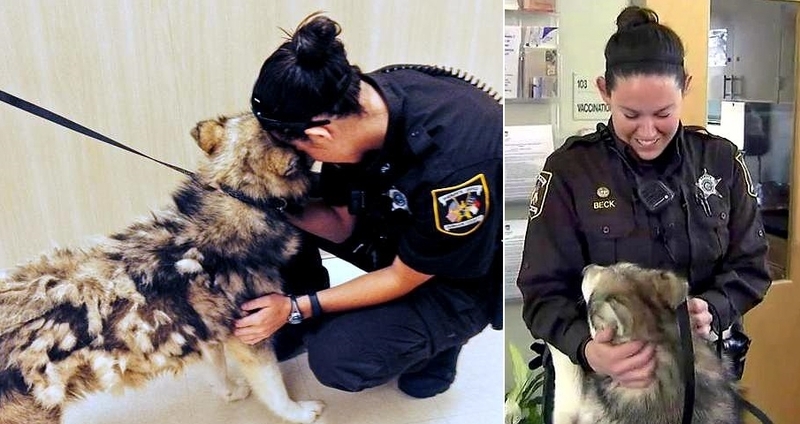 Sheriff’s deputy Dakota Beck of the Durham Animal Services Division deals with dogs every day in her professional life. But Marty was the first one she brought home. 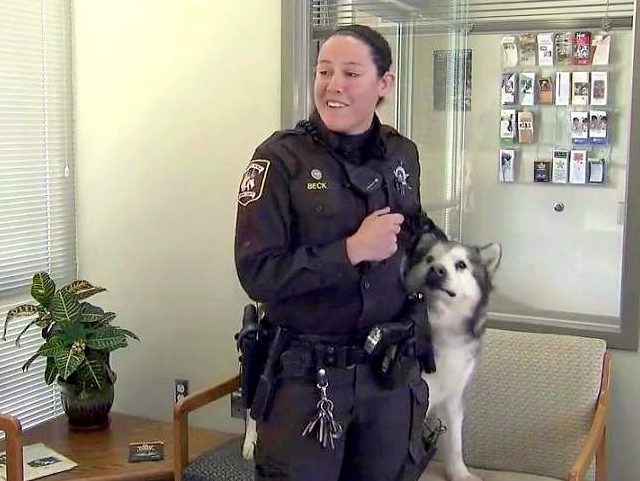 After months of rehabilitation and multiple surgeries in Michigan, Marty was reunited this week with the officer who helped save him seven months earlier. 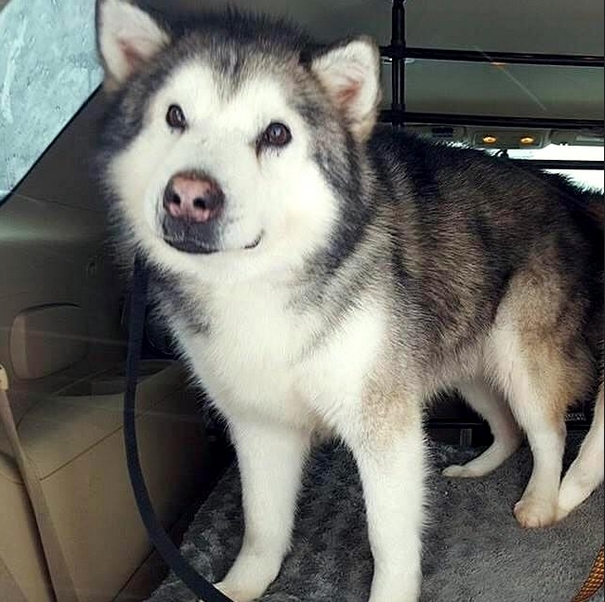 The story began with a call about a husky running loose on Sybil Drive on the east side of Durham, which led Beck to a home with a horrible smell lingering on the front porch. Through the window, she saw dozens of sickly dogs in cages – some whimpering, others unresponsive. Beck obtained a warrant to seize the dogs, and a crew from animal services stayed up all night transporting them to the Animal Protection Society of Durham. The dogs were immediately treated for malnutrition, dehydration and burns from the urine that covered them. The woman hoarding the malamutes, Sandra Lehto, was charged with 28 counts of animal cruelty and barred from owning animals. After the rescue, calls flooded in to offer the dogs new homes, and all the dogs were places with rescue groups or families. Marty was sent to The Southwest Michigan Husky Club to be rehabilitated. Responses to "Deputy Adopts the Dog She Rescued Seven Months Ago"
That's beautiful! The power of love is known for all of God's creatures! 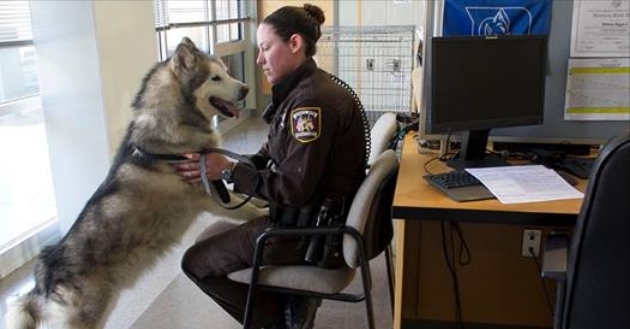 Should be Malamute adopts officer as his companion after she saved his life!